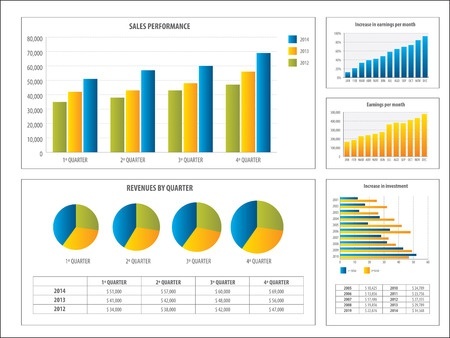 Meaningful data visualization helps clients understand the relationship between their goals and performance indicators. Research America’s aim is to make charts, tables and graphs easy to understand so that you can move quickly to act on the information that you receive during all phases of your study. Our live online dashboards and other e-reporting tools make accessing your data and reviewing your results in chart form, or as tables and graphs, fast and easy. When you log in to our secure online reporting portal, you can view your real-time data and clearly isolate trends as our interviewers continue to interact with your respondents. At the end of each project involving optional reporting and presentation, our analytics team examines raw data, and compiles results. Research America’s analytics team will expertly choose the most appropriate reporting styles, data visualizations, tools and techniques for your study and presentation, and deliver content matching your communication needs for any type of group, including internal leadership, boards of directors, publicstakeholders and government agency clients. Research America’s compelling visual data presentations deliver clear insight into where your business stands in relationship to your competition. Our experts make envisioning statistics easy. Reporting, including full-color charts, graphs and tables for your reporting needs are available for any level of study, along with our consultant’s expert guidance in making sense of the numbers.